The pending rise in interest rates spurred greater urgency from homebuyers in May as existing-home sales surged across all major regions. Although the Fed is not pressured by inflation, most scenarios point towards an interest rate hike in September or October as the central bank begins to normalize monetary policy. Healthy job gains and stronger, albeit measured, wage growth also supports the current outlook. For the first time in seven years, the focus on interest rates is shifting away from the launch timing and towards the trajectory, which is anticipated to be relatively tame in the current economic climate. 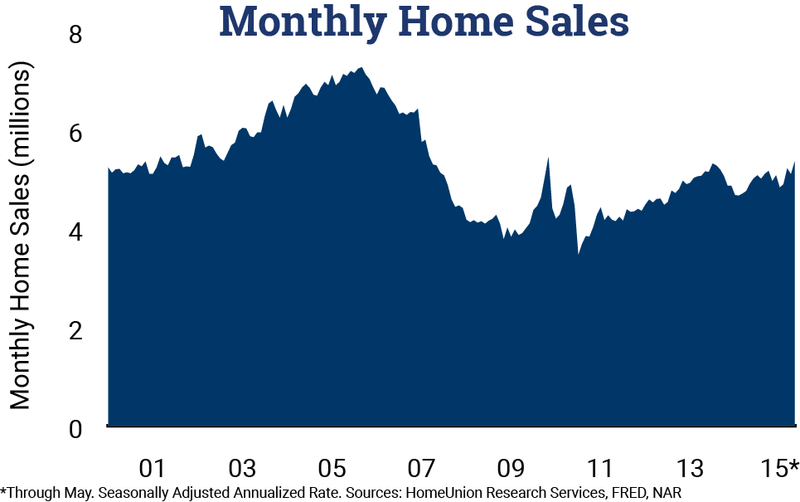 Annualized existing-home sales surged to 5.4 million units in May, up 5.1 percent from the previous month and 9.2 percent higher than the same month last year. Sales reached the highest level since November of 2009, when the government’s $8,000 tax credit was originally anticipated to expire. Single-family home sales advanced 5.6 percent to an annualized 4.7 million houses, while the median home price was $230,300, up 8.6 percent year over year. The most significant information in May’s existing-home sales release was the increase in first-time homebuyers. During the month, the share of first-time homebuyers climbed from 30 to 32 percent. A combination of rising rents, the impending rise in mortgage rates, and an improving economy combined to support the gain. Despite the uptick, many factors will act in concert to keep the first-time homebuyer rate well below the 40 percent threshold, which is considered a barometer for a healthy market. 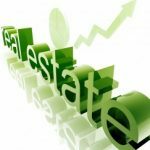 The home investment market remained relatively stable during May. Investors accounted for 14 percent of transactions during the month, unchanged from April. Year over year, however, the share of investment deals retreated 200 basis points, largely due to the dearth of distressed opportunities. Only 10 percent of sales were foreclosures or short sales last month. All-cash investment deals outnumbered leveraged transactions by two to one.